So, we started (as we usually do), by knocking down walls. By moving the knee wall back 5 feet, we suddenly gained a lot of space! Our goal? 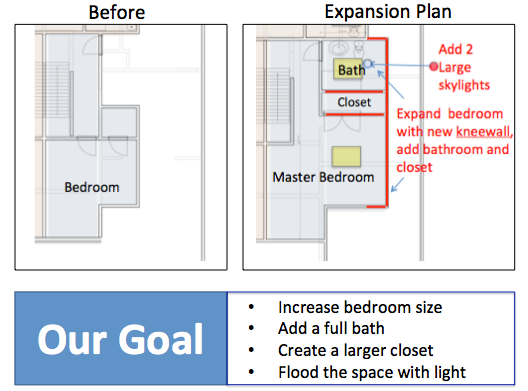 Add a full bath, a larger closet, a larger bedroom and lots of light. 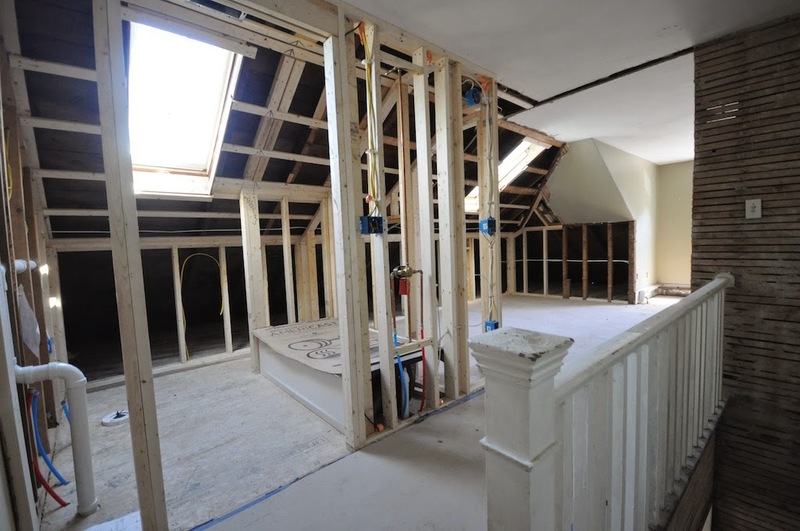 With the walls gone, the guys could start with brand new framing. 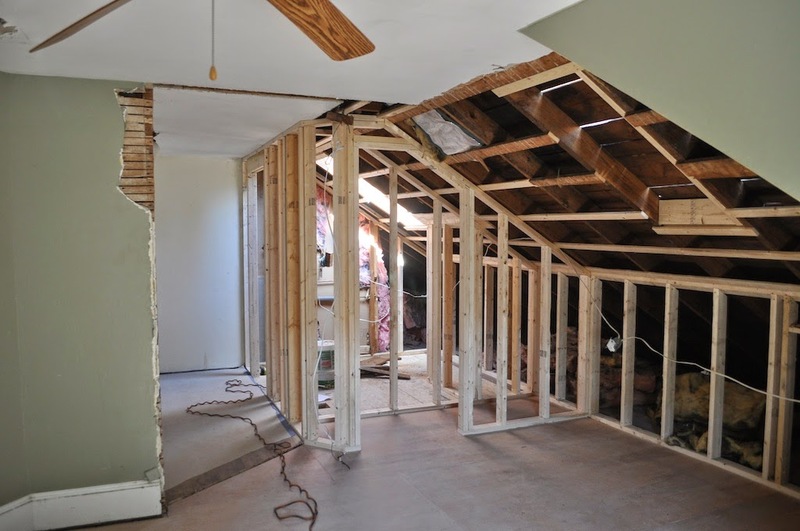 Much easier and quicker and it allowed us to put the walls where we wanted them (note - we added a lot more structural framing below, to accommodate the weight of the new bathroom!). Next, the skylights. 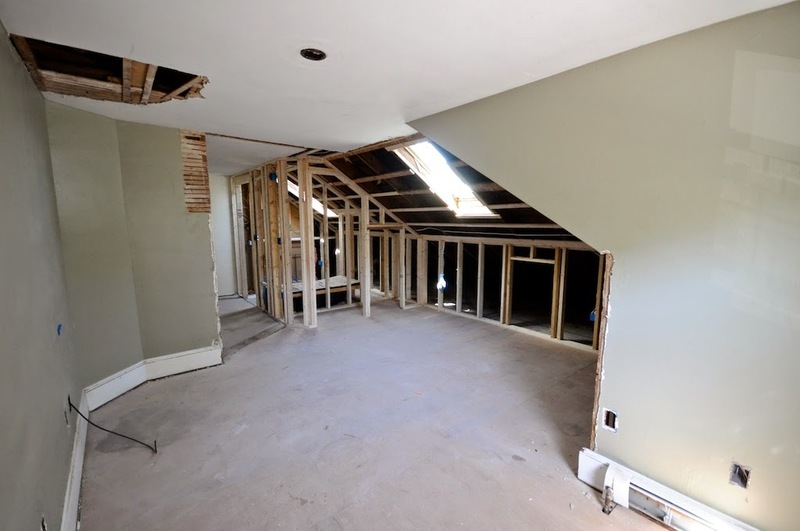 In these old houses, I think skylights are one of the best value items you can add. 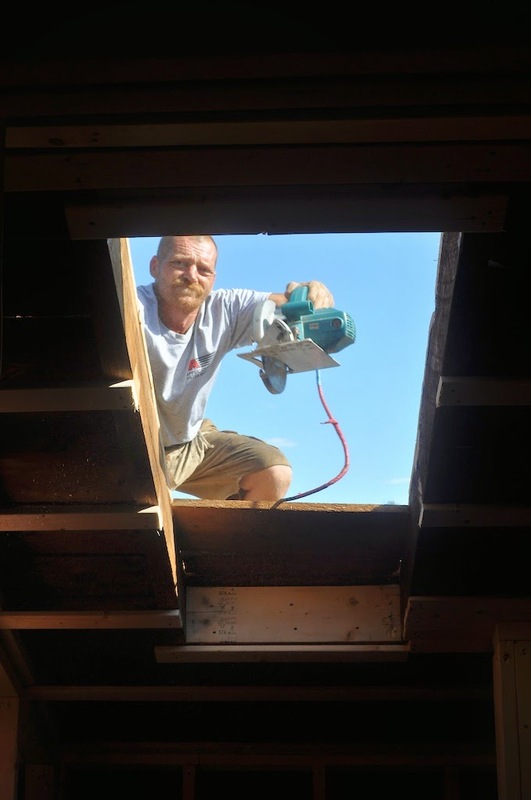 They're not cheap - I use Velux which is the top of the line. They're guaranteed for 10 years . 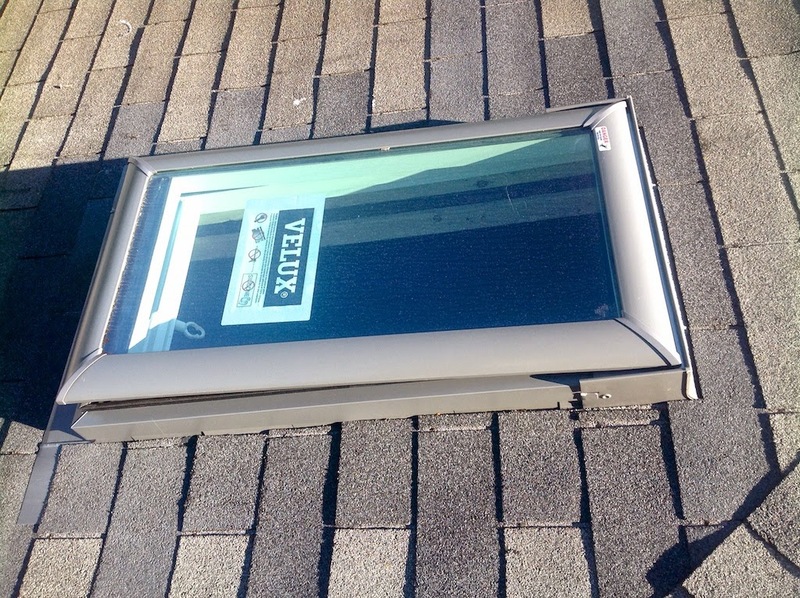 In fact, I've bought houses with Velux units that were 25 years old and still worked well without any leaks. And it's so exciting to suddenly see the roof opening and the sunlight flood in! Love the bigger space and bright sunlight streaming in! The difference they make in a space is amazing. 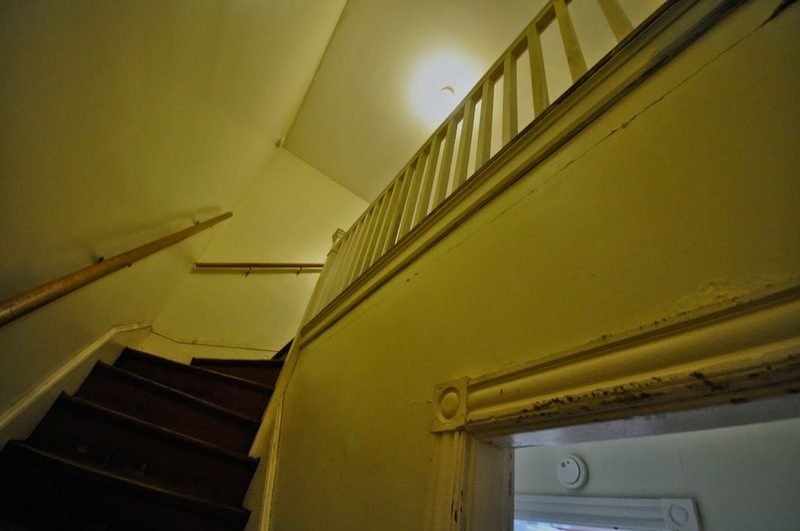 This is the upstairs stairwell, before we started. And this is after. The natural light that floods the space is great! 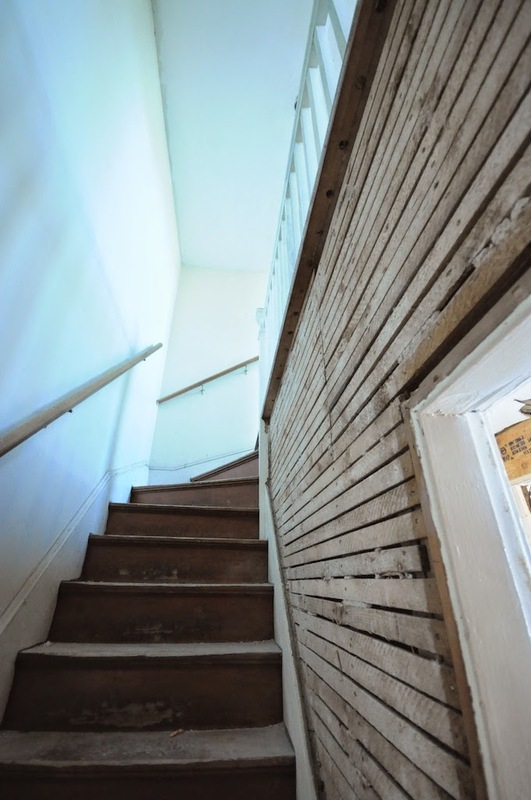 Oh, and notice the old lath? 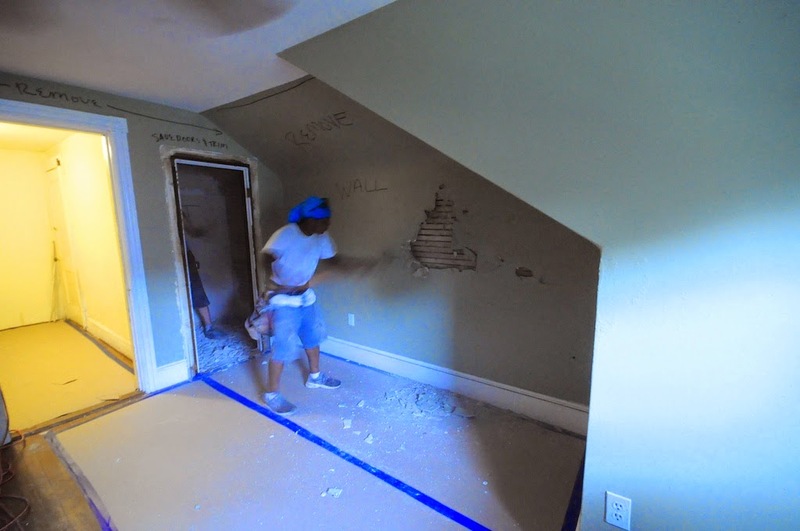 Well, when we jacked up the first floor to make it level, all the plaster cracked and had to be removed. 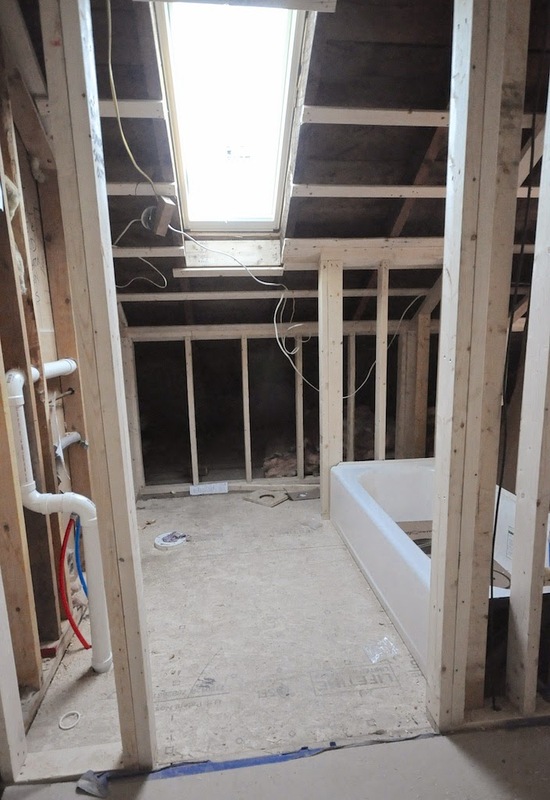 Next step, the bathroom is framed in, with plumbing ready to go. The skylight in here makes it such a nice inviting space. Wait till you see the marble & glass tile insets we're going to do in here! 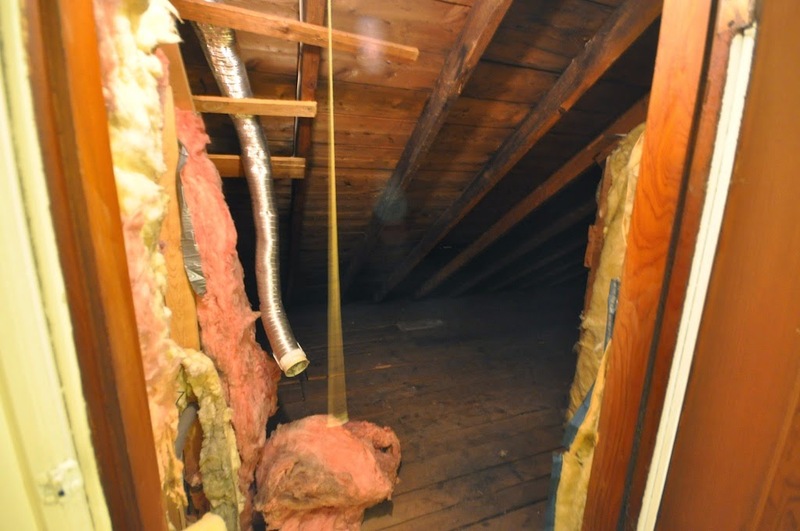 And for reference, here's the attic space that was 'before'. 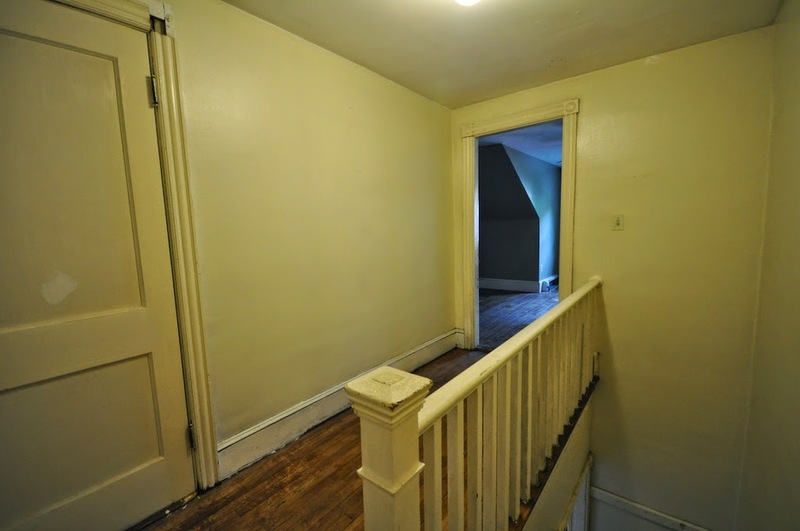 And here is the rest of the space. Nice change, don't you think? Oh, and the hole in the ceiling? Well, we discovered a pie tin up there that was catching drips from a badly flashed 'stink pipe' (plumbing vent). Our roofer fixed it for us in and the pie tin is now history. 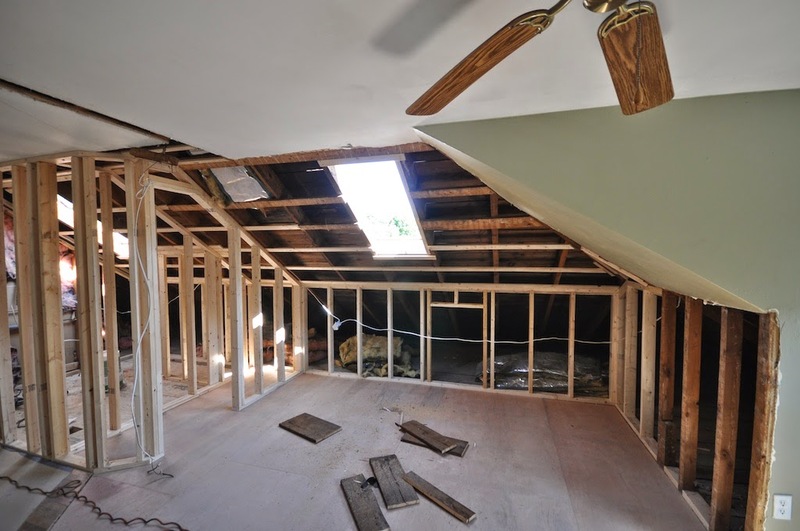 So, we didn't add a dormer or make any major structural changes - but by removing walls, reclaiming lots of unused attic space and by adding skylights - we have made it a big, bright usable space. We need to finish electrical and plumbing and then on to drywall. 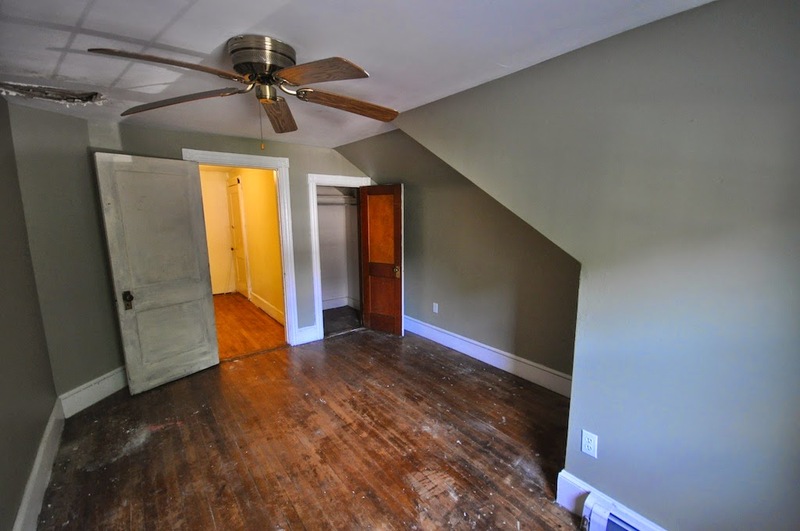 I want to know more about jacking up the floor on the first floor. I have very saggy floors but I've been told not to try to straighten them because the wood floors won't bend back to be straight. Where can I find more information about this? Hmmm.....I'm not sure where you can find info. But typically, if you do it slowly (over a period of days), the wood will 'give'. Plaster, on the other hand, just cracks and breaks! In our case, we needed the floors to be more level for the new kitchen cabinets. So it was worth replacing a little plaster to get level floors.